At the airport, few things can go wrong. This is what I do to make travelling occupy a bit less space of my mind. A few days before the trip, I designate an area where to place small items that I’ll need during my vacation or business trip. This is very useful for items that I’m still using or items I don’t know in which bag they are going to end up. I usually use a shallow box as designated area, so that I can easily see what is in there. I always make a list of the items that I want to bring with me. I keep the list on my phone, and when I think about a new item to add to the list, I write it down straight away, otherwise I’ll forget that forever. This is not just useful on my departure date, but also on my leaving date, when my stuff will be inexorably scattered around the room where I stayed. I also make a list brief list of what has to be done before the departure. If an item is on the list, it won’t be left behind, I won’t be worried about leaving it behing, and I won’t be stressed because I worried to much. So, more items on the list equals less stress. I usually get to the airport 1h30 before the flight, so that I have enough time to enjoy the waiting line at the security check. But I understand that some people might not love waiting in the line for the security checks as I do, so this is what I do when I pretend to be one of them. While waiting in the security line I tend to have as less items as possible in your hands. When I have more than 2 items in your hands (where 2 is the number of my hands), I usually start accepting the fact that one of them will disappear forever. So, to avoid that, I put all accessories (phone, wallet, bracelets, etc..) and my belt in the pockets of my coat or in the bag or trolley. I check where are electronic devices and the liquids container in my bag to make sure that when I’ll take them out the bag, they will not bring the whole set of underwear with them. I take off my coat. People carrying more than one bag. Heavy boots, many bracelets or accessories. Many layers of clothes, scarves, hats. Whoever did not read this. I am going to remember that window forever. The house was OK, the room was nice, but that window was something more. When the sky was blue, I used to spend hours looking at it and through it. It made me deeply feel the greatness and the beautifulness of life, humanity and nature, all in that small blue square. Sometimes a bird would suddenly appear on a side of the window and then briefly disappear on the other. Or a plane would draw a line that would cut off an angle of the blue square. 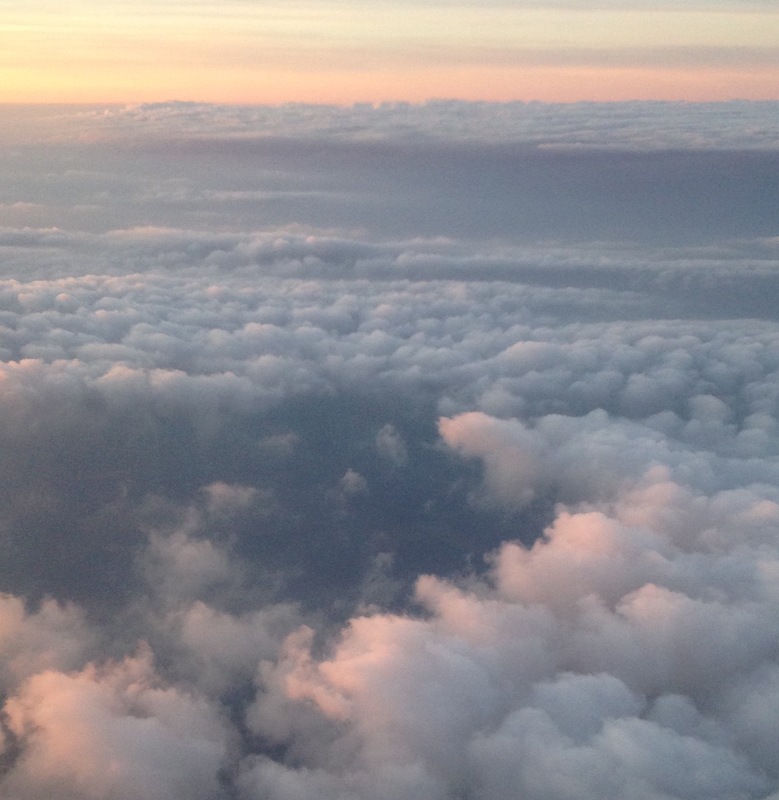 Or a cloud would slowly and relentlessly fill the square with pure white or grey shadows. Life, humanity and nature would be there for me to watch and think and meditate about it. I will always remember that room, that house, that city for that window. Thank you, whoever you built it, for unknowingly giving me that simple and overwhelming experience. The incandescent tungsten filament in the 20 watt bulb irradiated, surprisingly, quite a lot of light, but the ceiling was enjoining that light much more than I was. I needed to pierce the shade of the lamp to shed some light on my end-of-the-day readings. And then I was struck by inspiration. I did not want just a lamp with an holed shade. 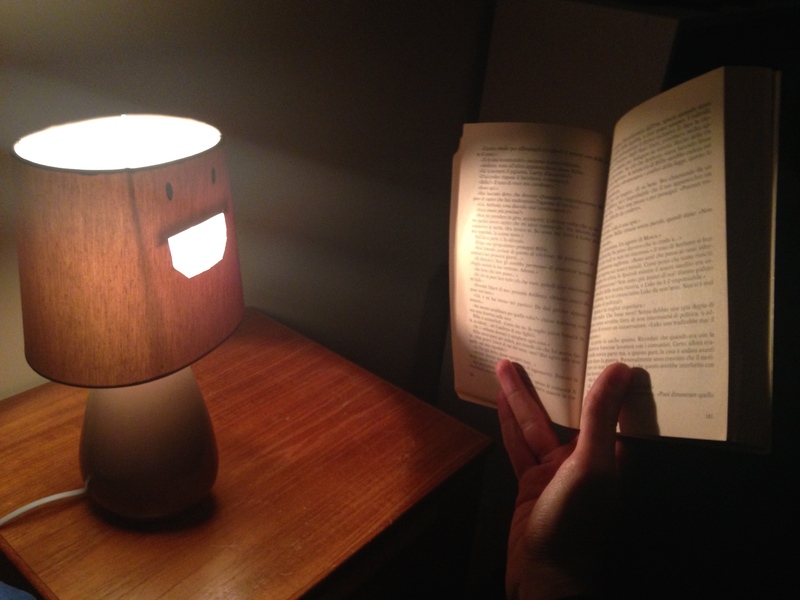 I wanted a HappyLamp (with a holed shade). And this is the story of how HappyLamp was born.